Windowsill gardeners have probably been propagating houseplants since the first person brought the first plant indoors. Cuttings, whether from stem or leaf, are the most common method of propagation. Seeds are less common, yet there are a couple of good reasons for growing houseplants from seeds. Propagating houseplants from seeds will often result in stronger, healthier growth because they are adapted to your home’s unique conditions, such as light and humidity, from the beginning. This early houseplant seed care ensures their chances of survival are much greater than their purchased counterparts. Another consideration is cost. Houseplant seeds are relatively inexpensive when compared to the cost of fully grown plants. For some of us, growing houseplants from seed can be a rewarding hobby, the results of which can be shared with friends. 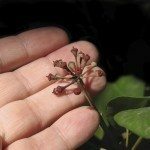 Unfortunately, while much is written or shared by word of mouth about other methods of replenishing your collection, very little is written about propagating houseplant seeds. Houseplant seeds are not as readily available as flower and vegetable seed. Mail order catalogs and online sources are probably the easiest way of securing good quality houseplant seeds. 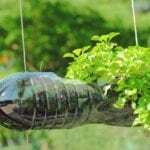 You might also check the seed racks at your local garden center or even the big box stores in early spring when flower and vegetable seeds are on display. Be careful when you order your seeds for propagating that you don’t over order. Seeds are purchased by weight and houseplant seeds are tiny. Order only what you need at the time being and remember, a little goes a long way. Most of these botanical beauties originate in the tropics. Therefore, they require no dormancy and will germinate as soon as conditions are right, even if they are still tightly packaged. This makes them difficult to store for future propagating. Houseplant seeds should never be refrigerated, as is sometimes recommended with other seeds. Care should also be taken to keep them dry until ready to use. So plant them as soon as possible. There are a number of container types available: flats, small pots or paper cups. Any small container will do as long as there are small holes in the bottom for drainage. Fill your container with a lightweight growing medium so your germinating houseplant seeds have room to swell and send out roots. Before adding the seeds, water the containers thoroughly, allowing any excess water to drain. Seed treatments to encourage germination are a recommended part of houseplant seed care, but are not strictly necessary. Experiment a bit to see which gives you the best results. Sprinkle your seeds sparingly on a white sheet of paper. With a damp finger, lightly touch the seeds. This should make it easier to pick up a few seeds at a time to distribute in each container. Once all the seeds have been delivered, cover them lightly with potting medium. The general rule of thumb is to sow seeds three times deeper than their diameter and this rule holds true for propagating houseplants, too. Some seeds, like those of the African violet, are so small they only need to be set on top and not covered, as they easily nestle into the soil. Until you see evidence of germination in your houseplant seed, care should be taken when watering. You don’t want to disturb the seed. A bottle sprayer works well or you can cover them in glass or plastic to keep the humidity high. Keep your containers out of direct sunlight. Once the seeds have germinated and begin to poke through the soil, move the container to bright but indirect light. Throughout the process, keep the medium warm. Remember, these are tropical and need temperatures in the 70-80 F. (21-27 C.) range. Depending on the species and your talent for growing houseplants from seeds, you should see the results of your efforts in two to four weeks. Remove any covering as soon as the first seedling leaves appear and transplant each into its own container once the first true leaves develop. Growing a houseplant from seed is a slow process, but there is great satisfaction in adorning your home with your efforts and in giving to your friends and neighbors something you’ve grown just for them.